Pinoy Ham and Cheese Bread Roll. This Pinoy version of bread roll is not new. I have had this on several times, served as meryenda by friends. It is one of Pinoy’s kitchen ingenuity, where slices of loaf bread are turned into bread rolls with ham and cheese stuffing. The cooking method is simple all the ingredients are common in most Pinoy kitchen. But on my version I made some twist, I spread some honey on the bread. If you do not have honey, jams may do or just sprinkle some sugar instead. You may omit it all together if you are not into sweets. I also cut off the outer skin of the bread for cleaner rolls but again you may leave them as it is, if you do not want to waste anything. As I said cooking is fairly easy. It is a lot more easier compared to my other roll recipes below. Some tips to remember, fry at moderate heat use a big frying pan with generous amount of oil. If it’s possible fry the bread roll altogether in one batch. You do not want all those burnt bread crumbs sticking on the succeeding batches. 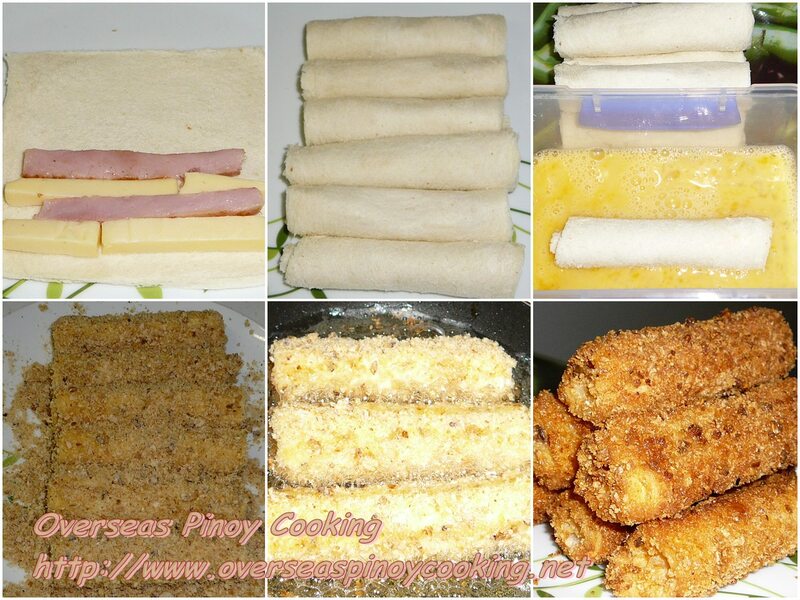 Here is the recipe of my version of Pinoy Ham and Cheese Bread Roll. Flatten each slice of bread using the palm of your hand. In a big platter lay a flattened bread. Spread some honey, arrange 2 strips of ham and 2 strips of cheese at one side and roll. Apply some pressure for a few seconds to hold and maintain the roll in shape. Dip the roll in the beaten egg then in the bread crumbs, ensure that the bread is uniformly coated with egg and bread crumbs. Repeat process on the remaining slices of bread, keep aside. Heat generous amount of oil in a big frying pan until it start to smoke, set the stove to moderate to low heat. Carefully place each roll with the seam at the bottom in the frying pan, fry for 1/1 to 1 minute or until just browned and constantly flipping to maintain uniform cooking. When done remove from pan and drain oil in kitchen paper towels. To serve cut the roll in half crosswise and arrange in a platter. Hi! Can I bake this instead of frying? Yes I have tasted some from someone's party. 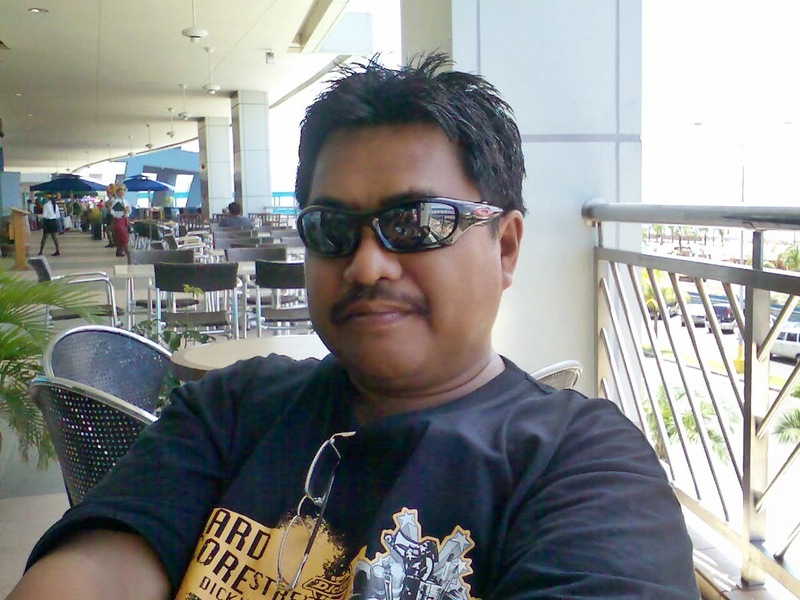 Good luck po, I hope it will turn all right. insted of dipping in to egg i deep it with condense milk before dipping in bread crambs...everybody loves it!!! thanks for sharing this recipe..keep posting for more delicious merienda. instead of frying can it be oven cook? Yes in can be bake or used a bread toaster but I have not tried it. it need to be deep fried? thank u for ur recipe..
hi ut-man, i clicked the pinoy pineapple ham but it led me to this recipe. the hyperlink must be wrong. i love it as i like as my delicious pinepaple and ham loaf. magastos sa mantika pero masarap lol..